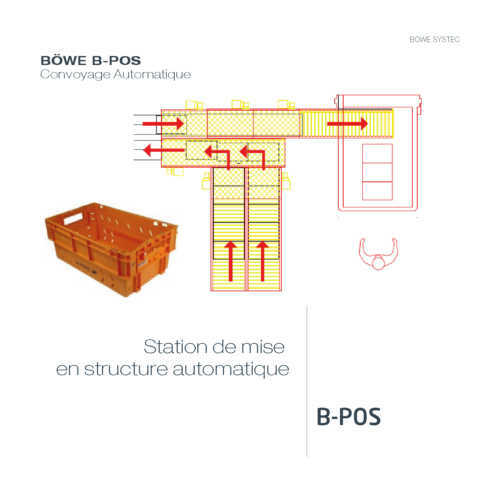 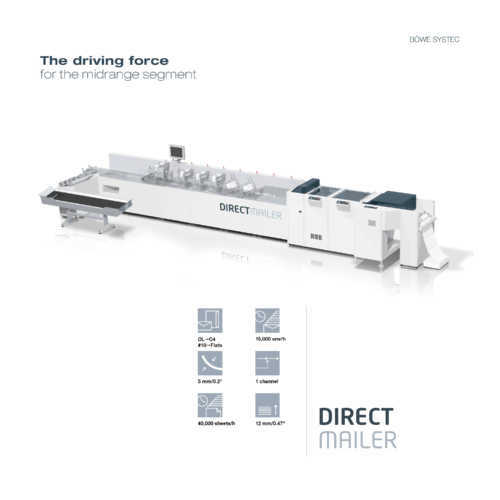 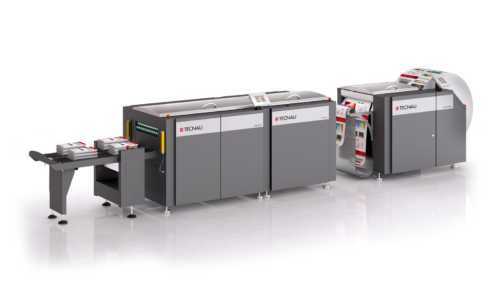 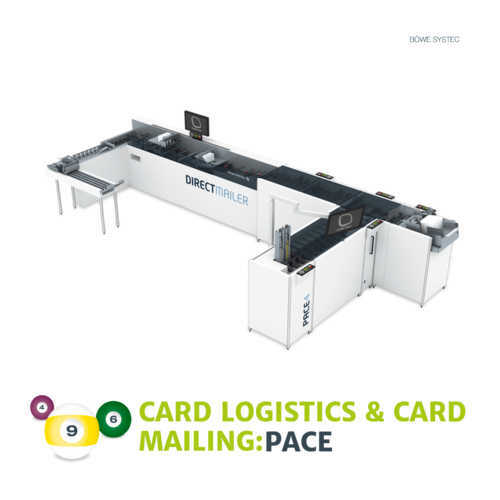 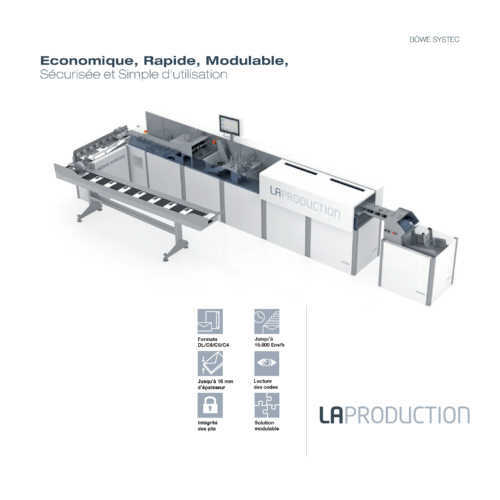 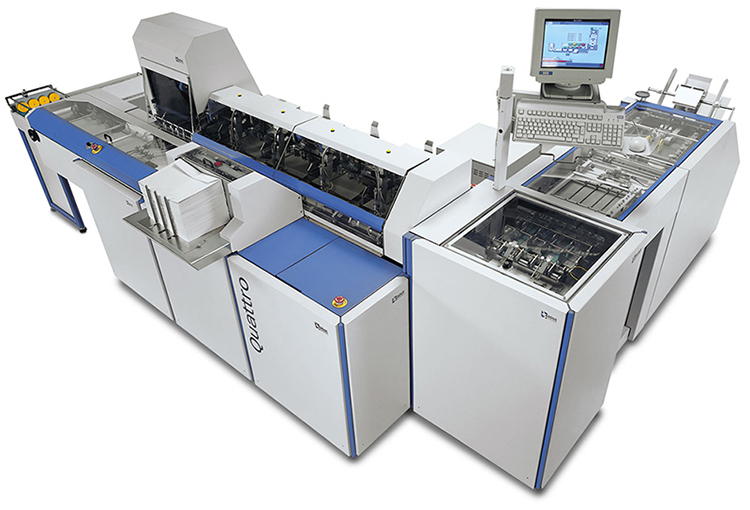 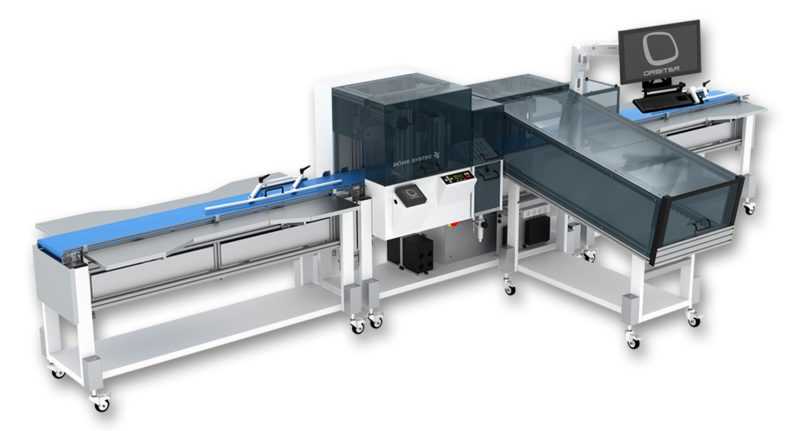 The Quattro inserting system offers dependable processing performance for all formats from DIN C6 to DIN B4 – from postcard to brochure or magazine. 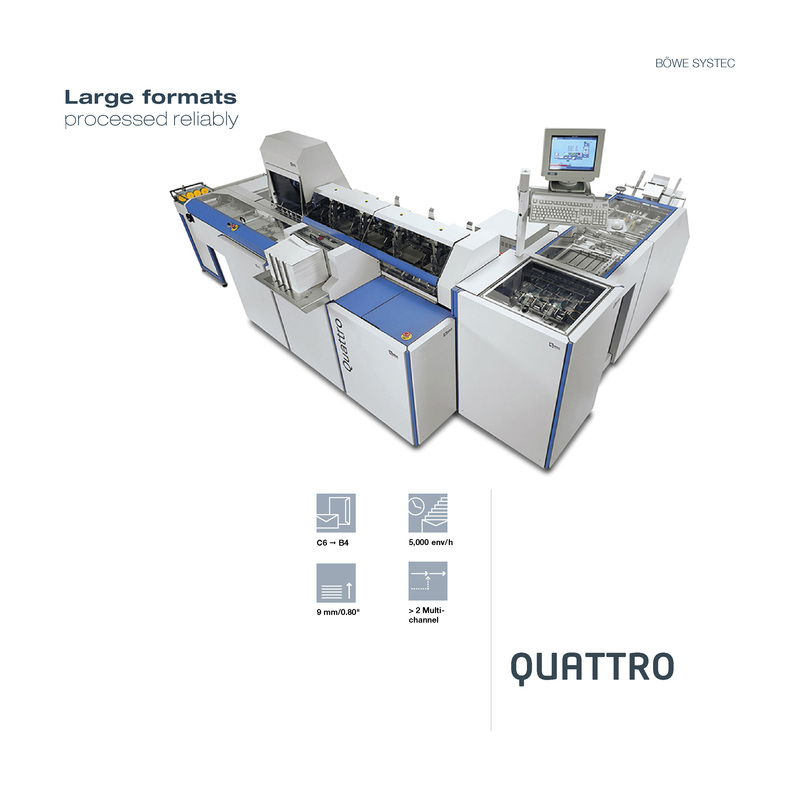 Ideal for high print volumes with large-format documents (large number of sheets per envelope) e.g. 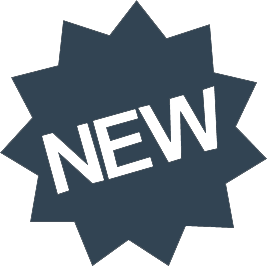 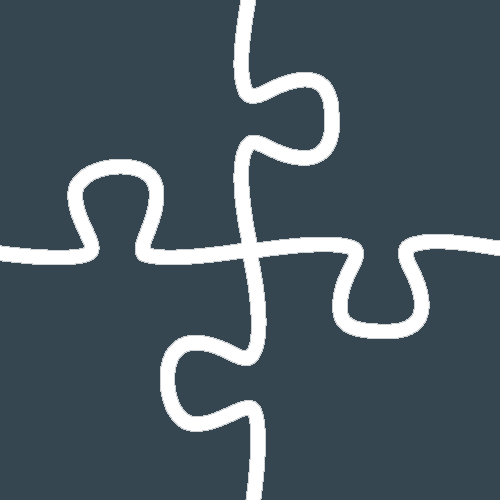 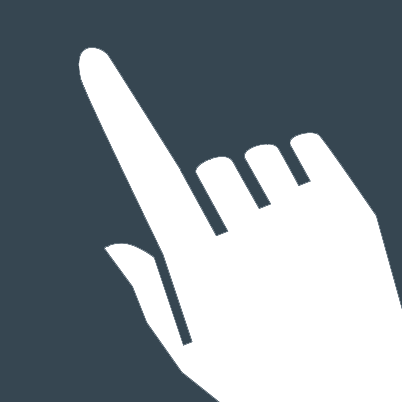 insurance policies, financial documents, detailed telephone bills, etc.